The placement of each of these charms was not accidental. Neither was the fact that I designed fully 3-dimensional charms. 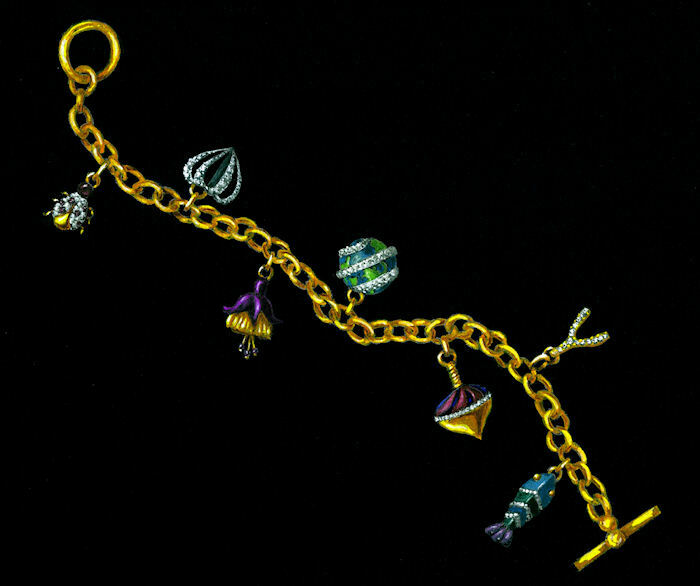 I wanted the charms to be beautiful seen from whatever angle they fell when the bracelet was worn. And, while my husband’s “Pisces” and my ladybug charms are stationed at opposite ends of the chain when the bracelet is open, when clasped together we are side by side again. All my gratitude and thanks go to the friends, family and kindly strangers who have made such a difference in my life. 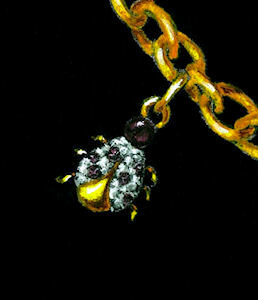 Great ladybug, and great bracelet! Are you going to make it for yorself? When you have time? I’d certainly love to see this one made…sort of tells a story of my life (at least from my present perspective!) I’m excited to hear that one of your hair clips was picked up by someone’s blog. Keep up the great work!